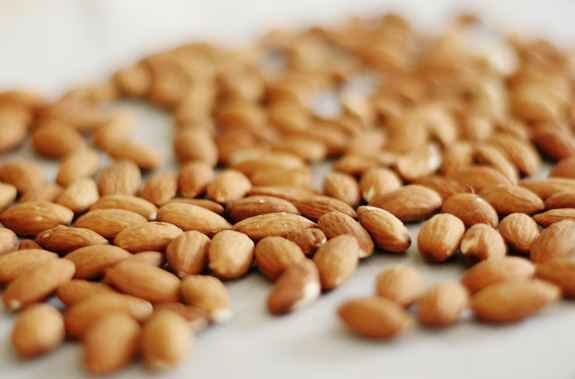 - On a parchment paper lined baking sheet, spread out raw almonds evenly and roast in preheated oven, about 15 minutes. Stir frequently to avoid burning. *Really be sure to watch these after 10 minutes of cooking time and take them out as soon as they turn a slightly darker brown. 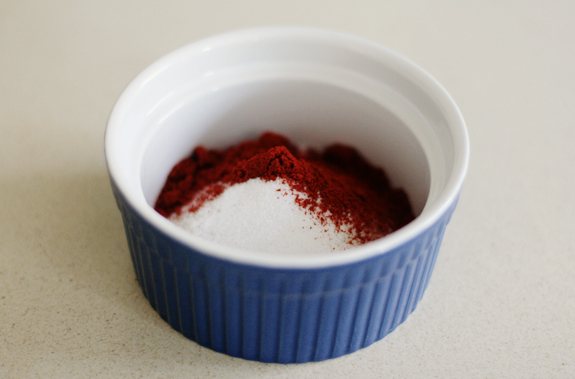 - In a mixing bowl, stir together sugar, salt, and cayenne pepper. Set aside. - In a saucepan (or skillet in my case) over medium heat, add honey, water, and olive oil. 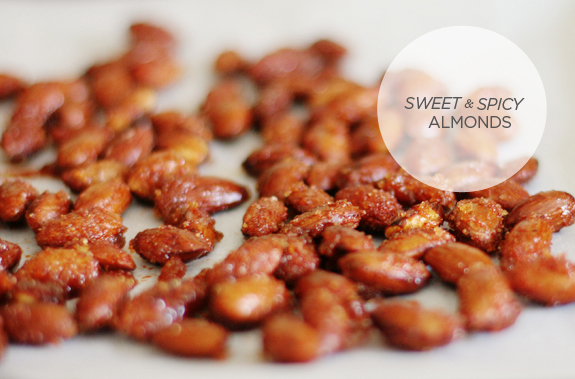 Once mixture is heated through and begins to bubble, add baked almonds and stir until coated evenly. 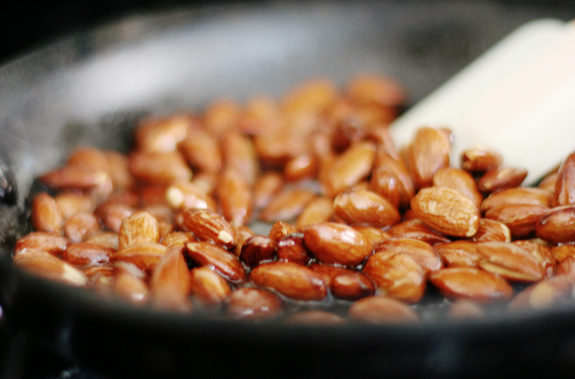 - Using a slotted spoon, move almonds from saucepan to mixing bowl with sugar, salt, and cayenne, and stir together. 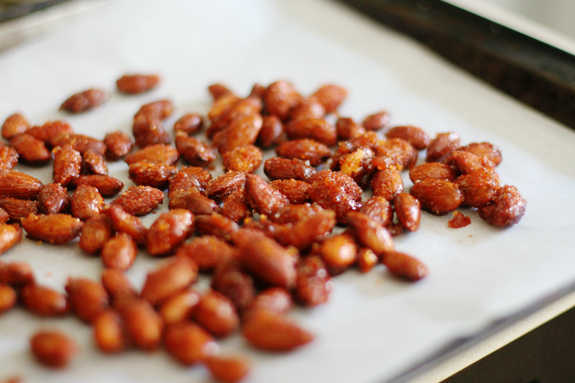 - Pour coated almonds back onto the baking sheet with parchment paper, and spread with a spoon or spatula to cool. - Once cooled, store in an airtight container, up to 1 week.